You’ve scanned hundreds of real estate photos, picked the perfect bungalow, painted pretend kitchen walls the precise shade of gray, and sized the living room floor for the most divine hand woven wool rug. All that’s left to do is sign on the dotted line. Maybe, but there’s no harm done in asking the following questions to become familiar with the big issues that are involved in the process. Because buying a house is so much more than choosing a room for the future nursery. Many homebuyers, especially first timers, see the asking price of a home and prepare their finances accordingly. But there are many other payments to keep in mind. For starters, potential closing costs and home insurance premiums will add to the budget. Don’t forget about the updates and renovation expenses your heart strings will pull at to make the house your own. Also consider HOA fees or other memberships in your neighborhood that will require a down payment and/or a monthly dues. Did I thoroughly investigate the neighborhood crime incidents with local police? Am I satisfied with the public school options my family would be assigned to? These are not easy questions to answer off the cuff without diligent research. Starting with military friendly resources like Military Town Advisor and School Quest will offer reviews from real families living in the area who offer firsthand knowledge. Commute times and access to amenities like grocery stores and health care should also be factored into the location of the potential neighborhood. No one in the military can accurately predict their future. Hoping for the best and preparing for the worst is likely the best thought process to have. This includes considering how comfortable you’d be potentially losing money on a quick home sale due to an unexpected PCS. Another possibility is to undertake the role of a long distance landlord. The responsibilities of a landlord aren’t to be taken lightly, especially if there is a lot of distance between your rental property and current residence. The inconvenience of the distance moves many military landlords to hire property managers who can look after their rental. Property management fees as well as regular rental upkeep will become more burdens on your overall budget. MilitaryByOwner offers a very thorough e-book specifically written for maintaining the landlord/tenant relationship. How much house should I buy? There’s a big difference between how much a buyer can afford and how much house a buyer can technically be approved to buy. Just because a lender offers you a set amount doesn’t mean a holistic view of your finances agrees with the lender’s projected mortgage payment. MilitaryByOwner staff writer Karina Gafford explains this conundrum perfectly. Do you have expertise working with military families? Military families have different needs than civilian families. We often have short time tables, an impending storage delivery, and in-processing deadlines to meet. Only an agent with working knowledge of these obstacles will be beneficial to your transaction. They also must be familiar military acronyms and lingo. Hiring a Military Relocation Professional could easily solve any issue that might be lost in translation through an unknowledgeable agent. Are you willing to work long distance and under unusual time constraints? An agent working with a military member must be up for unconventional buying techniques. This may mean texting at weird times or showing a house to a potential buyer via FaceTime or other video technology. Agents might even need to be willing to help with renovations or repairs if started before the owners arrive. Why do I need to pay for a home inspection? 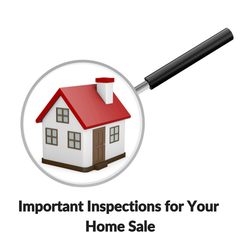 Savvy agents will know when exactly a home inspection is worth paying for. A common assumption is that each house should have one done, but there are exceptions, and a knowledgeable agent will help use this as part of your buying negotiation. Is the VA loan our best option? Traditionally, a VA loan is an amazing benefit for military members. There are, however, occasions when other types of loan products may suit your specific financial situation better. For example, if heavy renovations are required, a VA loan might not be your best option or even applicable. 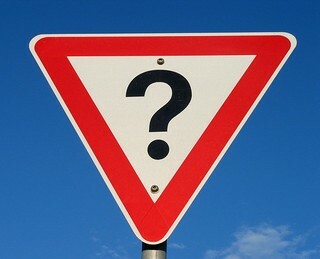 Homebuyers often are under the impression that a low credit score will exclude them from any chance of finding a loan. Qualified lenders are able to show potential buyers exactly how their credit score affects which loans are available and how to achieve a better rating. They can also explain how a lower credit score may not exclude borrowers from a VA loan. The saying, “There is no such thing as a stupid question" may have originated in the real estate world! Not only do first time buyers have a lot to understand, seasoned buyers will have circumstances come up that they haven’t encountered before. The only way to make sure you have the correct information is to ask. Be honest with your own housing needs and consult professionals in the industry to best prepare for a successful home purchase. Need even more home buying information? MilitaryByOwner has dozens of resource articles and blog entries to help make your research even more complete.